ACS Publications launched a new journal that will publish high-quality, innovative research across the broad spectrum of pharmacology, biochemistry, and experimental medicine. ACS Pharmacology & Translational Science broadens the scope of the ACS Publications portfolio of journals to make room to publish more exceptional research in this important, rapidly-expanding area of study. 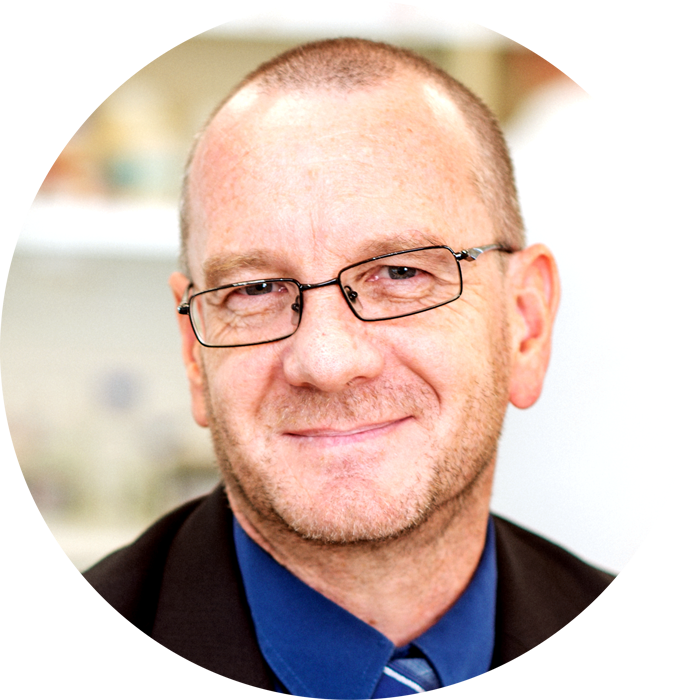 The journal’s Editor-in-Chief is Patrick M. Sexton, Ph.D., Theme Leader, Drug Discovery Biology, as well as Professor of Pharmacology and National Health and Medical Research Council (NHMRC) Principal Research Fellow at the Monash Institute of Pharmaceutical Sciences, Monash University. It will publish its first issue in the third quarter of this year. ACS Pharmacology & Translational Science is now accepting submissions of Articles, Perspectives, Letters, and Reviews on high-quality, innovative research across the broad spectrum of pharmacology, biochemistry, and experimental medicine—from basic and molecular sciences to translational preclinical studies. Its scope also includes clinical studies that address novel mechanisms of action and methodological papers that drive innovation and advance translational research. Sexton and his team of Associate Editors will give priority to studies that fully integrate basic pharmacological and/or biochemical findings into physiological processes that have translational potential in a broad range of biomedical disciplines. Studies that employ a complementary blend of in vitro and in vivo systems are of particular interest. There is no charge to publish in ACS Pharmacology & Translational Science. You can choose to make your ACS Pharmacology & Translational Science article open access, for a fee. ACS Publications offers open-access publishing discounts for ACS Members and country discounts for authors from more than 75 countries. Email your questions about publishing your manuscript in ACS Pharmacology & Translational Science to Sexton and his editorial team at eic@ptsci.acs.org. Institutional subscribers to ACS All Publications, All Access, and token packages will automatically get access to this valuable new resource, which will begin publishing Articles ASAP (As Soon As Publishable) this spring. When the first issue is published this summer, it will be free to read for one year, courtesy of ACS Publications. We encourage librarians at subscribing institutions to add ACS Pharmacology & Translational Science to their link resolvers using ISSN 2575-9108 and https://pubs.acs.org/journal/aptsfn. Email your ACS Publications sales representative with any subscription questions related to this new journal at acspusbssales@acs.org. I work on the largest family of cell surface receptors, termed G-protein-coupled receptors (GPCRs). My interest is in broadly understanding these receptors, from solution of high-resolution molecular structure, to exploitation of novel ligands in models of disease. What makes you passionate about this line of research? I joined the field before any receptor genes were cloned, and when radioligand binding assays were a major revolution for drug characterization. At the time, we were very excited by the ability to apply these techniques to </spanin situ localization of receptors that provided a glimpse into cellular levels of receptor function. Right now, we are working during an amazing time of advances – in our ability to visualize fine structural detail, to interrogate the breadth of cellular changes, and to manipulate complex, integrated systems in the context of whole-animal models of disease. Nonetheless, there are major challenges in identifying and developing drugs that have clinical efficacy. The capacity to start to bring together some of these advances to improve understanding of drug behavior and the translation of this into improved clinical efficacy is very exciting. Why should researchers working in pharmacology, biochemistry, and experimental medicine publish in ACS Pharmacology & Translational Science? Many researchers believe there is a gap in the existing journal landscape for publishing high-quality, innovative pharmacological and translational science. Researchers will find a home for this research in ACS Pharmacology & Translational Science. When they publish with this journal, researchers will get the visibility that comes with publishing with ACS Publications and will benefit from ACS’s global reputation as a publisher of high-quality research. They will have their manuscripts put through a thorough peer-review process led by a team of editors who are also active investigators producing their own top-quality science. Researchers will have their work published more quickly than with many other journals in the field. We can also provide high priority review for research that is highly innovative and where timeliness is important. I encourage everyone undertaking innovative translational research to join their colleagues in submitting their manuscripts to ACS Pharmacology & Translational Science. After high-quality research, what do you think makes for the best journal articles? Having high-quality research is but the first step in the scientific process. We must also make our work accessible to our peers. As such, articles that can succinctly provide the context for the research and can readily articulate its importance and relevance, drawing upon the known research landscape, make the most engaging papers. At ACS Pharmacology & Translational Science we strongly encourage our authors to discuss, without being overly speculative, the translational relevance of their research as an integral component of their article. Visit the exhibit halls at these conferences to learn more about the journal and pick up fun giveaways. Learn more about ACS Pharmacology & Translational Science and read its first articles as they’re published at pubs.acs.org/ptsci!